Neurons that influence metabolism are active for up to two days after a single workout, according to a study on mice. The study, published in the journal Molecular Metabolism, offers new insight into the brain’s potential role in fitness and may provide a target for developing therapies that improve metabolism. “It doesn’t take much exercise to alter the activity of these neurons,” said Kevin Williams from the University of Texas in the US. “Based on our results, we would predict that getting out and exercising even once in a semi-intense manner can reap benefits that can last for days, in particular with respect to glucose metabolism,” Williams said. Researchers measured the effects of short and long-term exercise on two types of neurons that comprise the melanocortin brain circuit, which is shared by both humans and mice. One of the neuron types (POMC) is associated with reduced appetite, lower blood glucose levels, and higher energy burning when activated, researchers said. The other type (NPY/AgRP) increases appetite and diminishes metabolism when activated, they said. The study found that a single bout of exercise can boost the activity of POMC neurons and inhibit the counterpart NPY/AgRP neuron for up to two days. Those changes last longer with more training, researchers said. The results also provide another avenue to research potential treatments to improve glucose metabolism, in patients with conditions such as diabetes. “It is possible that activating melanocortin neurons may hold therapeutic benefits for patients one day, especially for diabetics who need improved blood-glucose regulation,” Williams said. The study measured brain circuit activity in mice given training regimens that lasted up to 10 days. 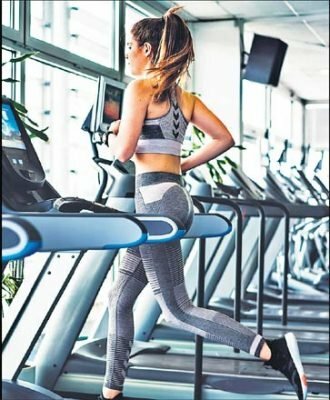 Scientists found that a single workout (consisting of three 20-minute treadmill runs) caused a decrease in appetite that lasted up to six hours. The longer-term effects of exercise were seen in the POMC neurons, which improve glucose metabolism, when activated. These neurons remained active longer, if they also expressed a protein called the leptin receptor.